So the trusty phone camera had to do. 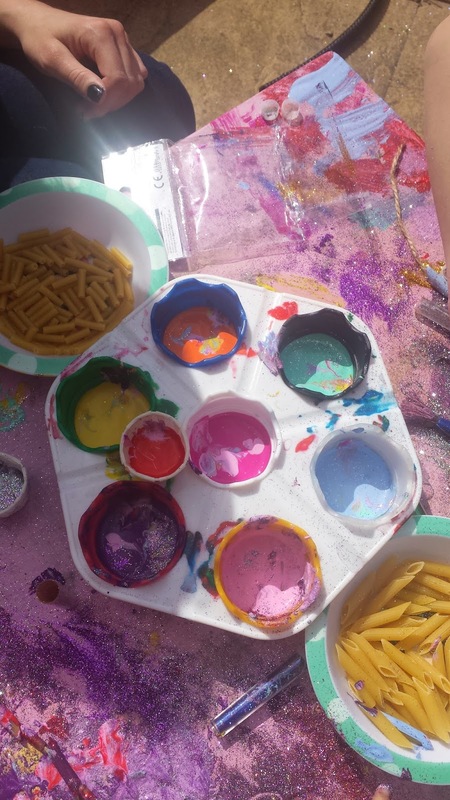 While preparing a home made macaroni cheese the other week it hit me that using the pasta to decorate and make necklaces/bracelets with would be a great cheap bit of fun. 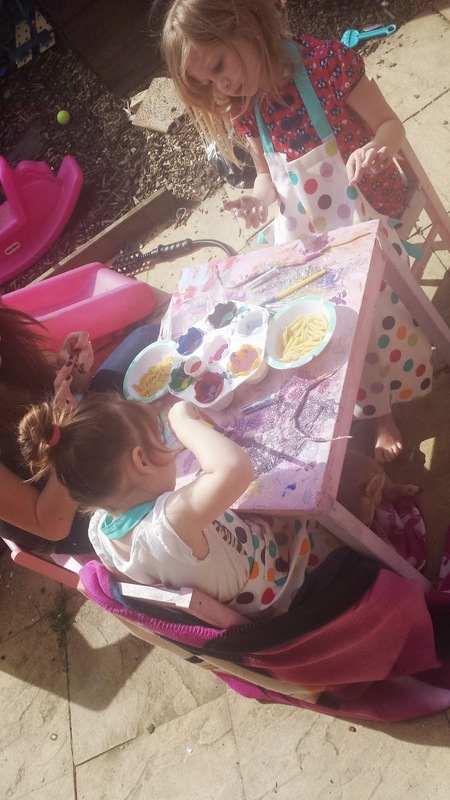 So today we gave it ago out in the garden as the weather was nice and they could make as much mess as they liked. I grabbed some penne pasta too while doing the food shop just to mix it up and have the option of two different shapes,feels,length etc. 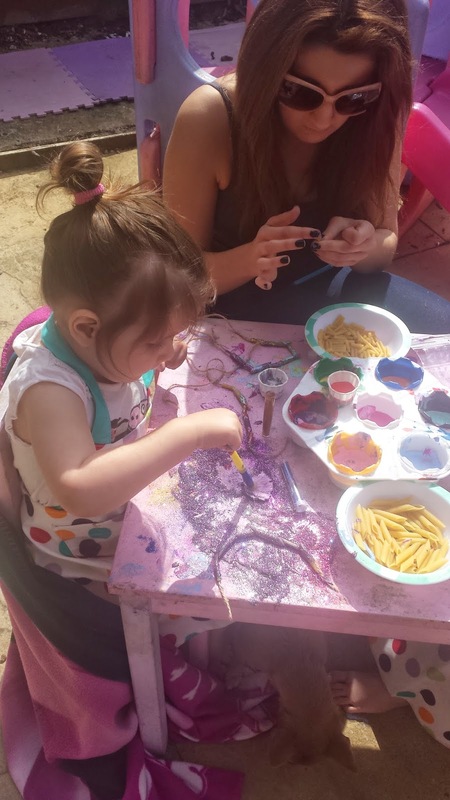 We finally got to give our ELC paints and a go and the colours are soo gorgeous! 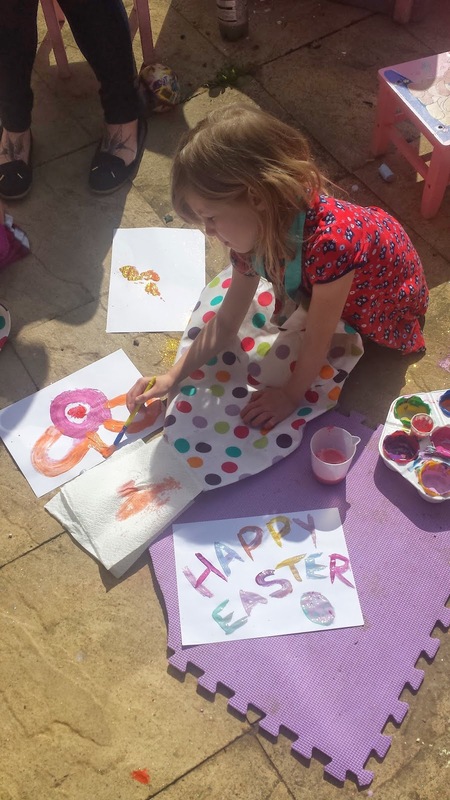 Do you have any cheap crafts planned for the Easter holidays?